Mystery and Suspense Writing Course Final! And You Have an A! Complete this final exam to pass the Whodunnit U online course. Have fun with it. You already have an “A” in the course just for trying! And since Whodunnit University is a figment of my imagination this exam may be a figment of yours. Who knows? Questions 1-3 are multiple choice…your choice. 1. What is the nature of the crime to be solved in your imagined story? 2. Where does your story take place? 3. When does your story take place? Questions 4- 7 are fill-in-the-blank and short answer questions about your protagonist, the one who will solve this mystery. 5. List three positive characteristics about your protagonist. 6. Name one flaw/weakness for your protagonist. 7. Briefly describe your protagonist. Questions 8 & 9 are fill-in-the-blank and short answer questions about your victim(s) of the crime. 8. What are the name(s) of your victim(s)? 9. What did your victim(s) have, know, say, or do to make him/her/them a target? Questions 10 & 11 are about your suspects. 10. Identify three suspects in the crime committed. Name them here. a. Give one good reason each person is a suspect. b. Name two traits that make each suspect unlikeable. c. Name one characteristic for each suspect that makes him/her likeable or interesting. Your final question is an essay question. Draft your story. No points off for spelling or grammar until you are ready to publish. Merely use this time to get your ideas on paper. Well, there you have it…a final exam to get you writing your first mystery or suspense story. Leave your Course Evaluation comments below. Instructor Note to Student DMWM: You are exempt from the exam in honor of your birthday! Have a happy day! Before we start, let’s take a look at the difference between mystery and suspense. The traditional definition usually says that a mystery is when you’re trying to discover who murdered someone and suspense is when you’re trying to stop a murder from happening. It’s a good definition, but I’d like to add a bit more for a little more clarification. I think mysteries keep the main characters in their day-to-day life while suspense thrusts the characters into a running-for-their-life scenario—if not their life, someone’s life has to be in danger. A good mystery should have elements of suspense and vice-versa so for our purposes I’m going to focus on suspense—since that’s what I write. A is for ACTION! ACTION!! and more ACTION!!! It doesn’t mean the action on the first page has to necessarily have anything to do with the main plot of the book. Often I start my story with the end of some other incident—catching a bad guy; a car accident; an odd phone call from a child. Whatever opening you choose it needs to make the reader curious about what will happen next so that they keep reading. In one of my books, REDEMPTION, I start the story out with an argument between twin sisters. So action doesn’t necessarily have to mean BIG action—but people need to be moving, doing something—anything! They can’t be sitting at the beach reflecting on the failures or successes of their life—unless you’re planning on having a huge shark come out of the water and chase them! And you can’t pull a bait and switch on your readers either. You don’t get to start with a gripping action scene in the first chapter and then spend the next hundred pages giving them backstory about why it happened. That’s not suspense. That’s just… boring! So the action needs to continue throughout the story and it should be escalating in nature. Don’t use all the great action up front and then let the story end with a whimper. Keep raising the stakes with each incident. 1. Start the story with action. 2. Keep the story moving forward with more action. 3. Escalate the danger with more action. At least suspense readers, hate backstory. They don’t want to know what happened to a character fifteen years ago that makes them do what they do now. The rule of all stories is to move the story forward. This is even more true for suspense/mystery novels. Refer back to A! Readers want action—not history. But…as I said writers love backstory. And I’m a writer. So in my first draft and even into my second draft, I put in backstory. I want to get to know my characters—who they are, where they came from, why they do what they do. It helps me to understand the story and the characters. Even in my first and second drafts I don’t put in pages and pages of backstory or even a paragraph at a time. I sneak it in. One thought here another there. A comment that adds to the reader’s knowledge. A question from another character that will let the other character reveal just a bit about himself. But as I said, I do that in my first few drafts. During the third and all subsequent drafts, I make a point to cut out as much of the backstory as I can. Some stays, but most of it gets cut. Does it hurt? Sometimes, it does. Sometimes, I’ll sit and stare and stare at my backstory sentences for the longest time. Then I hit the delete button and reread the section. If the story still makes sense I don’t add it back in. If it creates some confusion, I’ll add it back in and let my editor decide. “You’re retired from the spy business. Remember!” to which the other twin responds with, “I was never a spy.” Yeah, right—that’s what my brother-in-law used to try to tell me, too. Did you pick up on the backstory? Right there in the first lines. But back story that makes you wonder—was she a spy or not a spy? Remember—keep the story moving forward. For the most part, backstory stops the story. It doesn’t move it forward. What we writers think is crucial is usually not! 2. Backstory should be necessary to understanding the present story. 3. Sneak it in—a little bit at a time. 4. Cut-cut-cut as much of the backstory as possible! Curiosity may have killed the cat but it won’t kill your readers or make them die of boredom. No matter what genre you write, curiosity is a necessary part of creating a great story! Create surprises! Don’t let your reader get bored or too comfortable. Just when they think they know what’s going to happen—mix it up. Back to REDEMPTION-again. As I was writing the story, I was at the point of what many writers refer to as the sagging middle. Where you’re struggling to find enough to write about so that you can reach your target word count. I was writing and I was bored. My character was in a motel room and planning on meeting her partner at a restaurant but… as I said, I was getting that bored—ho-hum feeling…so when she opened the door…I had someone knock her down. It shocked me…and my readers! And that was the end of the chapter so, of course, my readers had to keep reading and I had to keep writing to see who knocked her down and why. And I’m happy to say, that little surprise really got the story moving. I love when that happens—it’s what makes writing fun! That brings us to another strategy. Each chapter should end with something that will make the reader want to know what’s going to happen. Sort of think of it as a literal hook that you place around their neck and will pull them into the next chapter. Another technique for keeping the reader’s curiosity and interest level sparked comes from James Scott Bell. If you don’t know who that is, you should. He not only writes mystery and suspense but has awesome writing books and workshops. Anyway, his advice is to have something in every scene that will surprise the reader. It doesn’t have to be the BIG shocker like opening the door and getting knocked down. It can be something that will bring a smile to the reader, or just a widening of the eyes. After I finish the first draft of a book and begin editing, revising, and polishing, I go through each chapter and try to follow his advice. I’m not saying I’m successful in every scene but I do my best. 1. Mix it up—keep your readers on their toes. 2. If you the writer is bored so will your readers be. 3. End each chapter with a hook. 4. Add something surprising into every scene. So…there you have my ABCs of writing suspense/mystery novels. I could keep going… D is for Danger… E is for… but, alas, no time! Objective: Students completing this course will be able to identify at least three key elements needed to write a mystery. AND REMEMBER FOLKS...THIS IS ALL IN FUN...BUT YOU WILL LEARN! See last week's post for glimpse of Whodunnit U by clicking HERE. Read “Top 10 Rules for Mystery Writing” by Ginny Wiehardt http://fictionwriting.about.com/od/genrefiction/tp/mysteryrules.htm This post is a great introduction to mystery writing. Read Dramatic Structure and Plot…or how to keep your story from circling the drain by Hallie Ephron http://mysterywriters.org/wp-content/uploads/2013/06/Ephron_-_Plotting_-_Website.pdf I like this article because it gives great tips for creating a plot with rising tension and ultimate confrontation. Taking the Mystery Out of Writing Mysteries by Dennis Palumbo http://www.writersstore.com/taking-the-mystery-out-of-writing-mysteries/ This is a super post about character development. Think about your own protagonist and antagonist. The characters are every bit as important as the plot when it comes to writing a mystery. Understanding the Essentials of Writing a Murder Mystery https://www.standoutbooks.com/essentials-writing-murdermystery/ Don’t let the title fool you. This post is all about strategy. I have often thought that charting the storyline of a mystery can be likened to solving a maze. Hint: Start with the end. The twists and turns and dead ends are what make the story interesting. Your assignment is to draft a short story mystery. Play with it. Have fun. Roll the idea around in your brain and let it spill out onto paper. It belongs to you. No one needs to read it except you. But….we at Whodunnit U expect you to draft a 110 characters or less descriptor of your idea. A few examples are below. Example 1: Would let a stranger in your house? What if he were the repairman? And what if he let himself in? Example 2: The witness said the man had a mustache. The cowhands all have a mustache. Except one. But can he be trusted? Example 3: Tim stared at the diamond on Jen's hand. Only one ring like it in the world. The one he buried with Susan. Got it?…now let’s hear those crazy ideas. Leave your descriptor in the comment section below. The Silver Sleuths at Whodunnit University (WU) are holding tight to their perfect record, remaining undefeated in this, the fifth week of collegiate football. Whodunnit University prepares writers to put together well-crafted mystery and suspense novels as well as short stories. “Anyone can attend WU for the month of October tuition free,” University President, Dr. Rebecca Waters shared at a recent press conference. Potential students of mystery and suspense are encouraged to participate each week in the online study program hosted by Whodunnit U during the month of October. One additional assignment for the week requires participants to think about an idea for a short story or novel. “Next week we’ll be asking you to share your idea in 110 characters or less. You don’t need to give it all away. Be as general as you like for this assignment. We merely want to begin to tap into your creative side and get you thinking. We at Whodunnit University are always looking for new writing talent,” Waters shared. However, the mythical school will offer an online course over the next three weeks for writers interested in learning more about composing their own mystery or suspense. 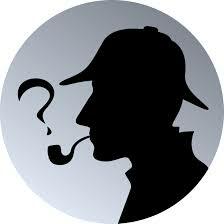 October 12th—You will receive your Mystery 101 course syllabus. Take time to read and study the art of writing outlined in the syllabus. October 19th—Whodunnit U will host visiting professor, Lillian Duncan, whose latest release, Game On, is doing well in the suspense market. By the end of the four weeks, you will have resources, ideas, and the nugget of an idea to develop into a novel during November…whether you participate in NaNoWriMo or not! *To register for the course, be sure to sign up to receive email notifications of this blog, A Novel Creation. The blog is for writers in all stages of their writing career and offers new posts every Wednesday.